This fifth rectangle is not quite a square. 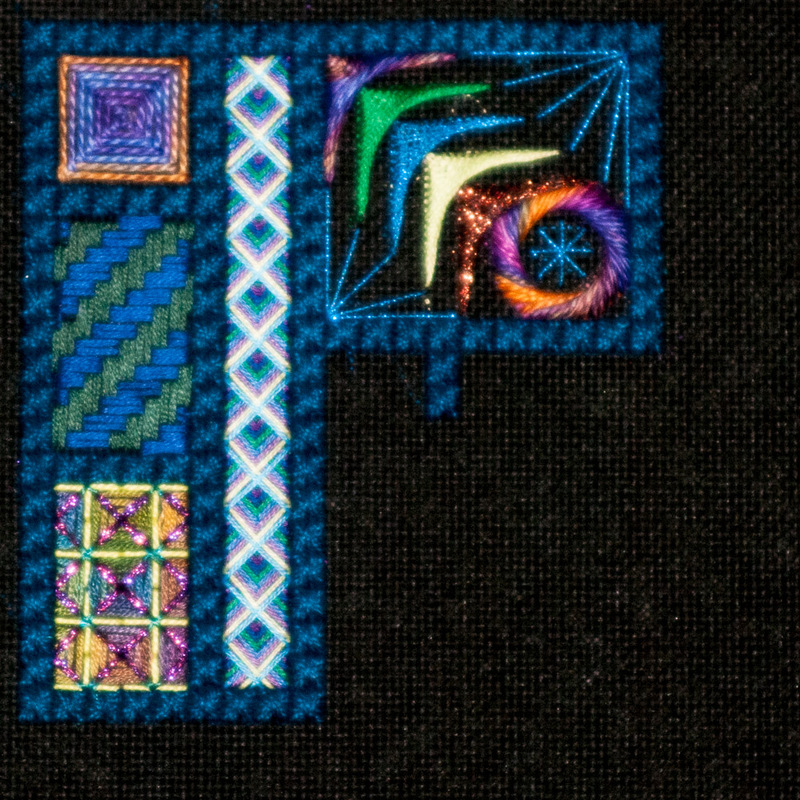 It has a lot of fun stitches in it, but I wish the spacing was better, especially on the innermost crescent. My husband loves the colors, though, so that's a great thing. I got back to working on this after a two week traveling break. On to do more.